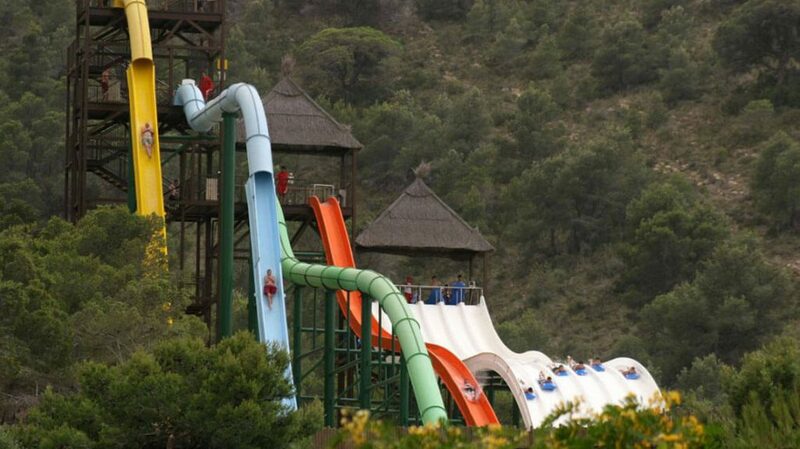 Aqualandia opened to the public in 1985 and was Spain’s first ever water park. As well as being one of the world’s largest water parks, it is also one of the best-equipped as regards rides, services and customer service. The Park covers an area of 150,000 square metres with 50,000 square metres’ free parking. It also has abundant gardens with plants which are the typical of the zone. The Park has great rides, which are classified according to the intensity of each one, to make sure that all visitors have an unforgettable day out with us. Other Aqualandia areas and services include a picnic area, souvenir shop, photography booth, ATM, floats, safe-deposit boxes for your valuables, lockers and recliners, among others. Aqualandia offers a variety of self-service restaurants to cater for all tastes. From our snack bar, barbecue, pizzeria, Burger Bar and Ice-Cream stalls to our cafes and there’s even a crepe stall and a kebab stand. The vast amount of water which circulates around the different pools, slides and kids’ attractions come from our own wells. The water is continually purified and recycled, using the most advanced water treatment systems. 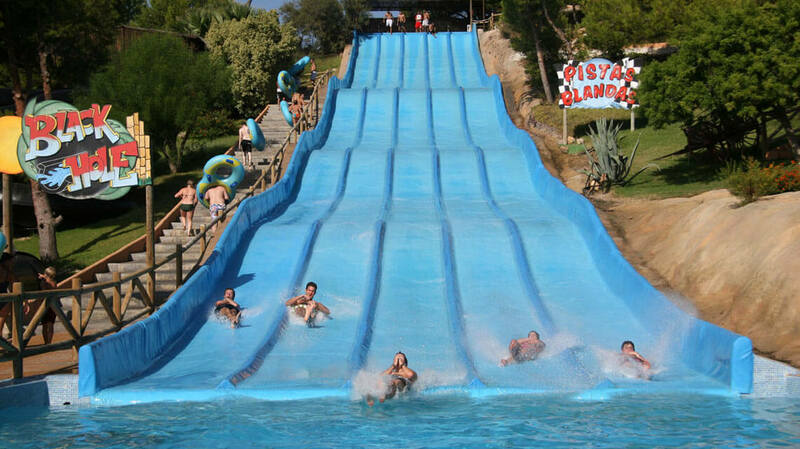 Thus, if you are looking for a fun-filled day out with your friends and family, surrounded by water and fun, all with the most stringent safety measures, Aqualandia is your Park. Come and live the dream!